Here are some visuals on some popular clients to assist with setting up TLS connections in preparation for the February 1, 2018 change to going TLS-only on Cuff-Link. Feel free to submit support tickets with screenshots in any clients we don’t have here or request that we get some for you! If you already have TLS/SSL enabled, but you have boxes ticked that say “Accept invalid certificates”, untick them. Our certs are verified with Let’s Encrypt. If you are using our authentication [SASL] servers, use the instructions here instead. 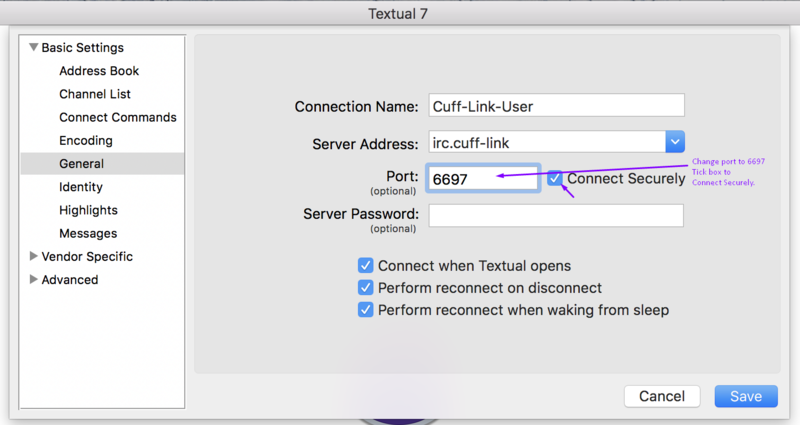 ** NOTE: If you choose Cuff-Link from the drop down menu, it will automatically put you on TLS/SSL. Mibbit settings for users with Registered nicknames. Unregistered users below. Mibbit Settings for Unregistered Users. Users with Mibbit accounts, look to the next images. Log into your account, and click Account. 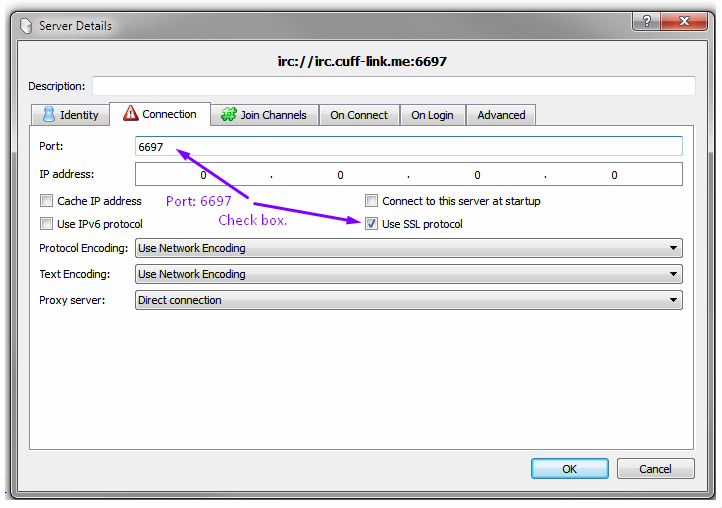 Once logged in, enter server address irc.cuff-link.me:+6697, your registered nickname, and your NickServ password. Click “Save Changes”. Then Click “Connect now”. ** NOTE: These screenshots are applicable to version 7.35 and later. We haven’t got one for anything before that, and versions in the 6.x range require a DLL download to work. ** EXTRA NOTE: The + in front of 6697 is not optional. Don’t leave it out or mIRC will have no idea how to connect. 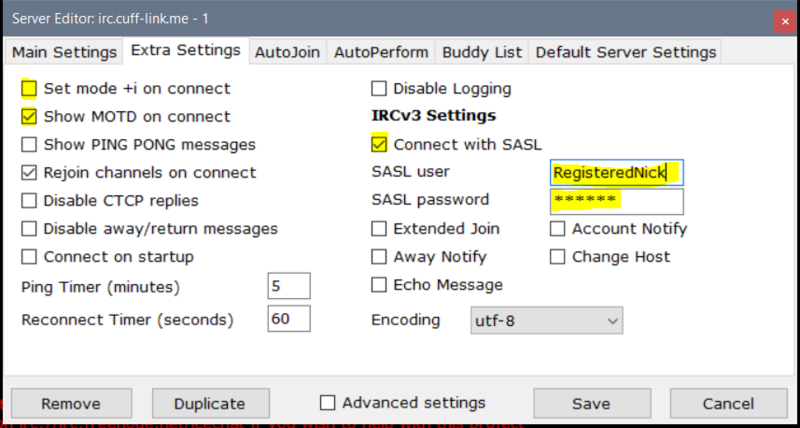 mIRC Settings – v7.35 and later only! Using MIRC, followed all instructions including “+” in all the right places. Still cannot connect. Why not?? This is also a shade late, but you’ll need to file a ticket at https://support.cuff-link.me for more assistance. We also do not support mIRC beyond these basic instructions.